Explore our Porsche inventory and you’ll find we offer a collection of stunning new Porsche models, each with its own unique set of features to set it apart from any other premium car on the road. Take a look at new models including the Porsche Macan, new 718 Boxster and new 911 to find your dream car. We also have a selection of Certified Pre-Owned Porsche models, if that’s your preference. Once you make your purchase, you’ll know we’ll be right here if you ever need us for anything else. Our Porsche service center is second to none, and you can even order OEM Porsche parts and accessories through our dealership. We’ve been honored to earn the Porsche Premier Dealer title six times, and we pride ourselves on the host of unique amenities we offer. This is all with the intention of providing our valued customers with the luxury experience they deserve. When you buy a Porsche from us, you’ll gain access to complimentary car washes whenever you’d like. If you service with us, we’ll treat you to a gourmet lunch from one of Wichita‘s best delicatessens, and we offer a concierge service if you’d like arrangements at a local salon or spa, your dry cleaning picked up or anything else during your appointment. 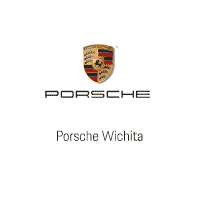 Porsche Wichita is easily accessible from all over South Central Kansas with a location at 10900 E. 13th Street in Wichita, KS. We’re just a short drive away from Andover, Maize, El Dorado and beyond. Stop by to see us today!